Here is a picture of Fire Dancer and I this summer. 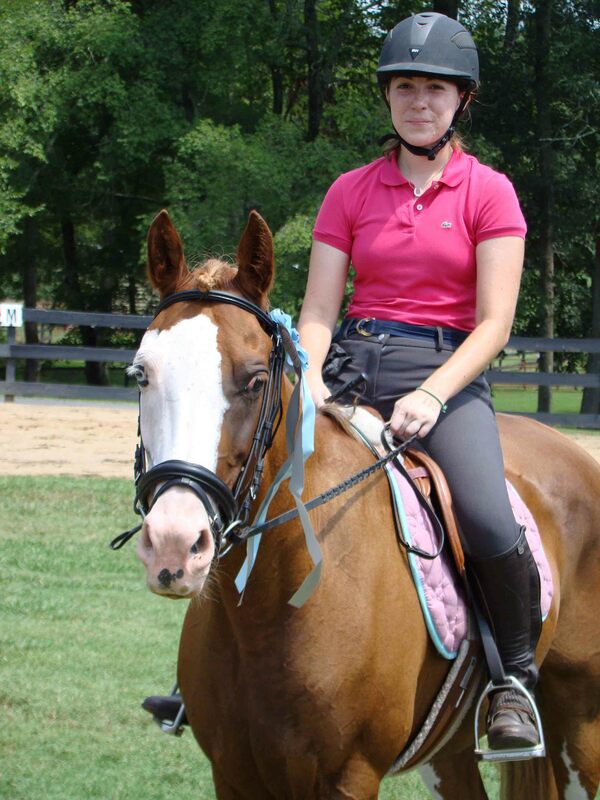 We did an intro eventing camp at my barn in the beginning of August. She was amazing! and that is an understatement. At the end of the week my trainer held a mock mini horse trial. FD won the dressage class with a 70.5% (my trainer scores high) out of 6 riders! She jumped clean on cross country. We did cross country in one of the back pastures that no one is in and it is perfect for cross country. It has hills and logs everywhere. I could tell that she was a little scared because she doesn't really like lot of trees and not being with her friends, but she was having so much fun. She is definitely an eventer! I wish you and all the horses the best.